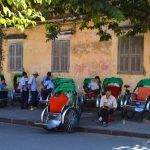 Once Vietnam’s the most cosmopolitan port on the banks of the Thu Bon river these days Hoi An’s well-preserved Old Town attracts many tourists and travellers wanting to discover its graceful character or get a tailor-made dress, handbag or a bespoke suit. 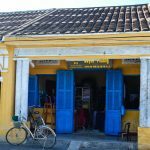 Late 16th to the early 18th century was the time of Hoi An’s prosperity when the port was the major commercial and trading centre bringing into this small town different products, merchants and cultures. 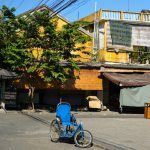 Strong Chinese and Japanese influences are easily recognisable when walking around the Old Town. 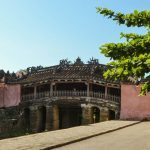 The Japanese Covered Bridge is one of the landmarks but to me it was the Chinese design and style blended in Hoi An’s architecture that I found very interesting. 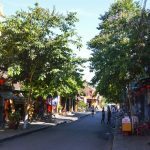 The narrow lanes, hidden temples and pagodas add to the atmosphere but you cannot stop yourself from thinking that this place definitely benefits from a low season when the small streets are not crowded. At the end of May the heat was on so it was not extremely busy. 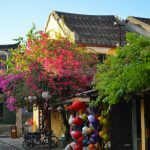 I am guessing that some years back when Vietnam was not such a popular destination among the tourists it must have felt more peaceful but even today Hoi An has this incredible charm worth falling for. 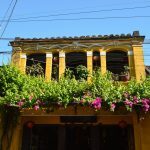 I still think of Hoi An’s rich colours: yellows and blues, pinks and purples. 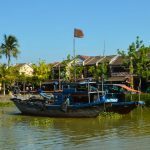 From the waterfront wander into the narrow lanes and you will be overwhelmed with the number of local shops and different stalls selling colourful dresses, beautiful fabrics, pretty shoes and leather bags. 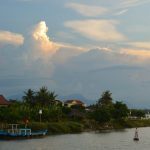 Most shops tend to stock similar items and haggling is acceptable. I would even say that some sellers expect it, however be mindful of the very cheap prices. If it sounds too good to be true more likely it is of poor quality or it was sewn together by someone who has not received a fair wage. I know that it is a part of a bigger issue but we can all start with at least being aware about it. 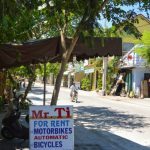 Although I often say since moving to Barcelona that worse than the crowds of tourists are actually tourists on bikes, renting one is an option to get more out of Hoi An. 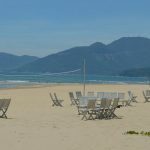 You can easily cycle to the beautiful sandy beach and explore the local area. 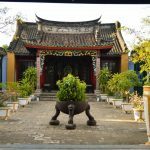 Hoi An is really more than just shopping for memories! 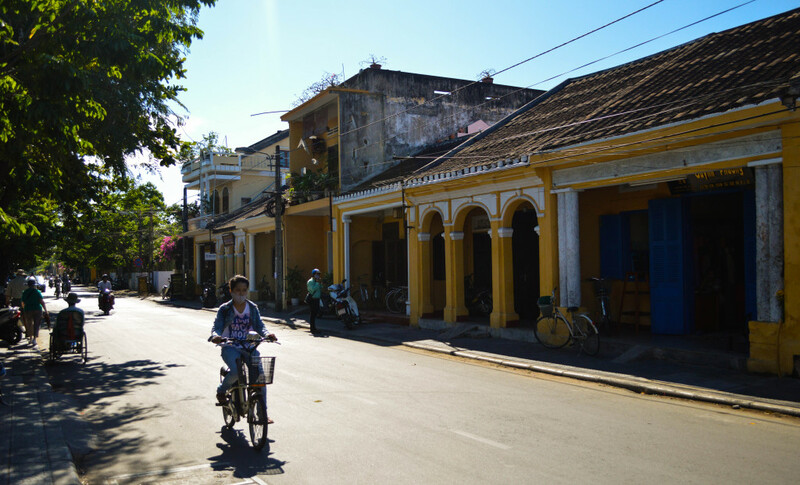 You can view the full set of my photographs from Hoi An on Flickr. Thank you Katherine! I can see that you are quite an expert. Your blog is very insightful.